The organization is relocating to the Running Rebels facility where it all began. 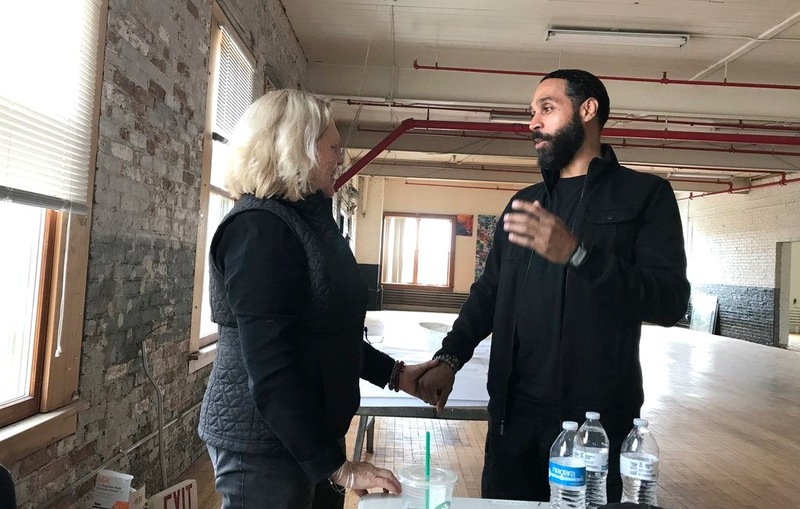 Lori Vance, Express Yourself Milwaukee executive director, and Capollo Free, Running Rebels advocate case manager, chat in ExYo’s new space. Photo by Camille Paul. Express Yourself Milwaukee opened its first studio in 2007, on the first floor of the Running Rebels building at 1300 W. Fond Du Lac Ave.
Express Yourself Milwaukee will have more than 6,000 square feet of usable space in the new location at Running Rebels Central. Photo by Camille Paul. After three years at the facility, Express Yourself moved to 3331 W. Lisbon Ave. Now, the nonprofit organization is in the process of relocating to the Running Rebels facility where it all began. ExYo is a nonprofit organization that uses artistic expression to provide youths an alternative to violence and street life. “ExYo is growing. We serve about 1,100 kids in a year,” said Vance. “One things that’s exciting about the partnership with Running Rebels is that they work with a lot of the same kids as us,” she added. ExYo is renovating a space on the third floor, and plans on unveiling its new studio to the public by the end of June. The studio has more than 6,000 square feet of usable space. There is also a recording studio and a loading dock to help move artwork and large pieces for shows outside the building. 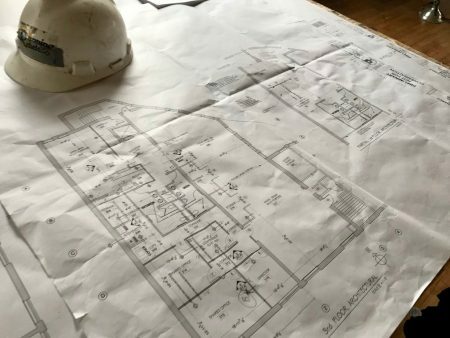 Running Rebels recently purchased a building on 225 W. Capital and will be moving most of its programming there, while keeping some at the original location, according to Dawn Barnett, co-executive director. During ExYo’s stay with Running Rebels, the two nonprofit organizations often partnered on programs. Victor Barnett founded Running Rebels in 1980, in an effort to keep young people away from gang life. The organization acquired Running Rebels East, the new location, last December. Co-executive director Dawn Barnett said the new space was too great an opportunity to pass up. ExYo and Running Rebels plan to collaborate on programs to give students positive activities to pursue. “I think more partnering needs to be done in the community,” said Barnett.” “As resources get slimmer and issues in the community grow, we need organizations to come together and help.